You can choose a natural way to help your baby teething! 1.Crying teething gum pain and frequen drooling teething like to hold things tight mouth bite, baby need dental gum nursing. 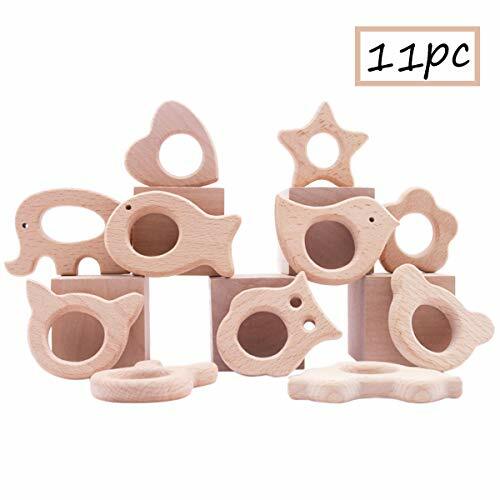 2.Our teethers are made using hard beech which is naturally resistant to bacteria and it is non-splintering wood, so it's safe for baby to gum on it for hours. 3.Unlike Silicone, wood doesn't attract dust! No need to keep rinsing it.How Wonderful!! No need to keep rinsing it.Easily attaches to pacifier holders and clips.And DIY unique teething necklace or bracelet. 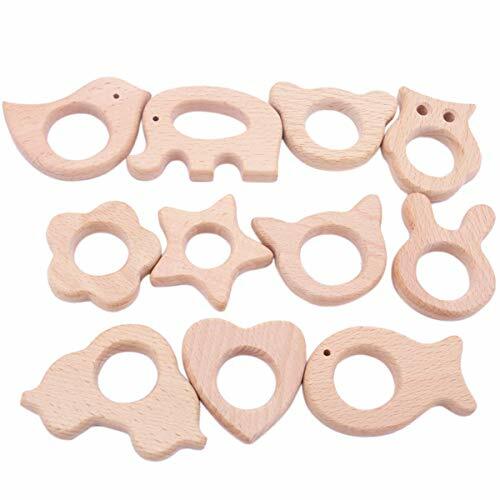 4.These wooden teether make a great addition to any baby shower gift. 5.Rub the gums, prompting the baby's teeth to grow in time. Often chew, can make the jaw normal development, for the healthy growth of permanent teeth to lay a good foundation. 6.Exercise the baby's chewing ability, help the baby in the eating process of food chewing more fully, digest more thoroughly. Order your natural teething toys! 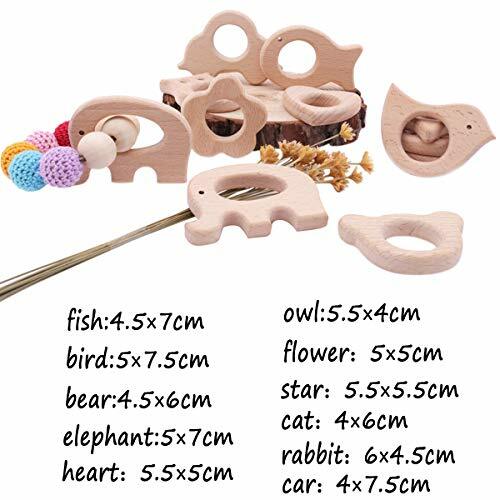 You will receive 11pc teethers of different shapes. We Love our customers and we do whatever it takes to make them happy. If you are not completely happy, all you need to do is let us know and we will resolve the issue. Add our product to your cart today and order with confidence. We are always willing to serve you.If you need help, please contact us in time.